A timeline of 120 days. Construction in the middle of winter, when temperatures were frigid and snow covered the ground. 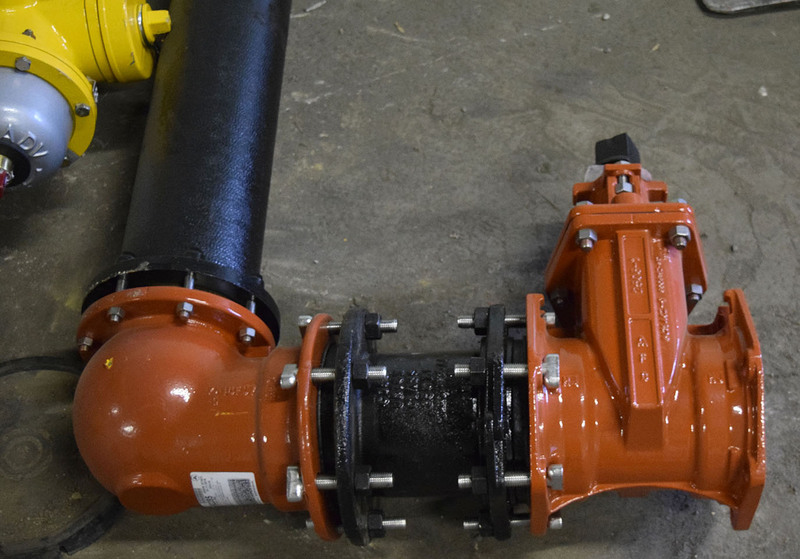 Despite these challenges, Elite Excavating Company of Ohio, Inc., was able to install 174 AMERICAN Flow Control American-Darling MK 73 fire hydrants and 280 resilient wedge gate valves in sizes 6 to 18 inches in four months. 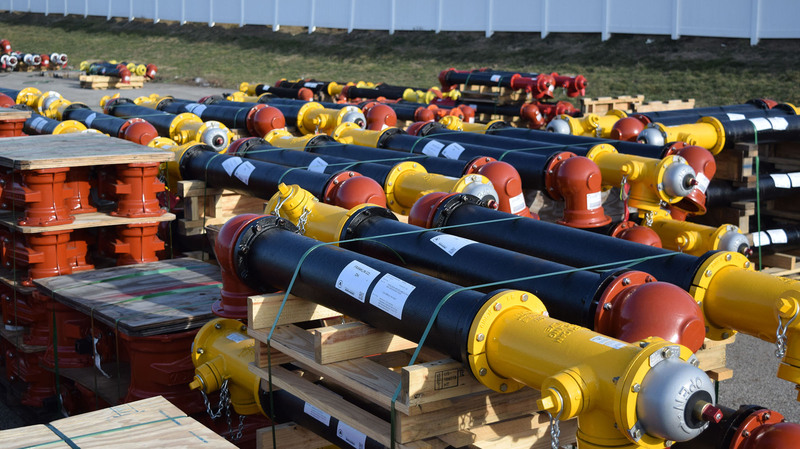 Elite, based in Mansfield, Ohio, was able to meet the tight timeline by preassembling the valve and hydrant assemblies in its temporary warehouse. 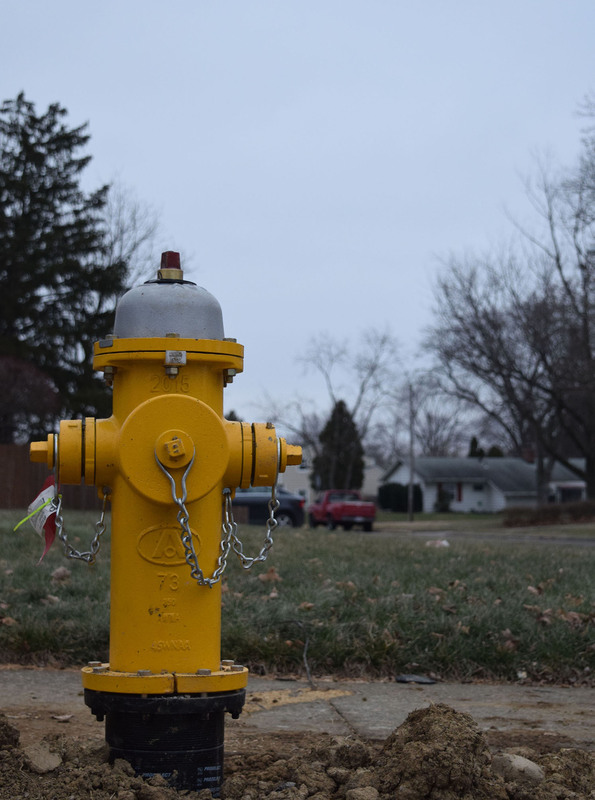 In addition, Elite used as many as four different crews to install up to eight hydrants a day. 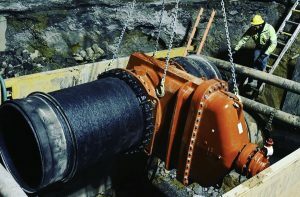 The valve and hydrant replacement project was conducted in early 2016 by the Franklin County Department of Sanitary Engineering in Columbus, Ohio, which provides water and sewer services to approximately 40,000 residents. 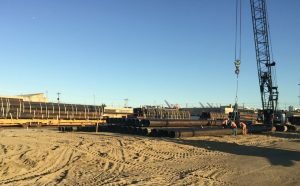 AMERICAN also provided 3,000 feet of 6- to 12-inch ductile iron pipe. The distributor on this project was Ferguson Waterworks in Columbus, Ohio. AMERICAN was able to ship part of the order within two weeks of receiving it from Ferguson. 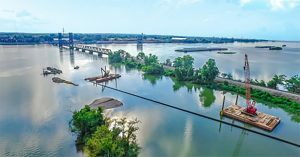 By delivering to Elite’s temporary warehouse by 9 a.m. two to three times per week, Ferguson ensured that Elite’s crews had the materials they needed to get the job done. Left to right: AMERICAN Flow Control Salesman Eric Rohrbaugh; Ferguson Waterworks Salesman Keith Strahler; and with Elite Excavating: President Scott Fulmer, Foreman Dan Biddle and Chief Estimator Dale Stevens. 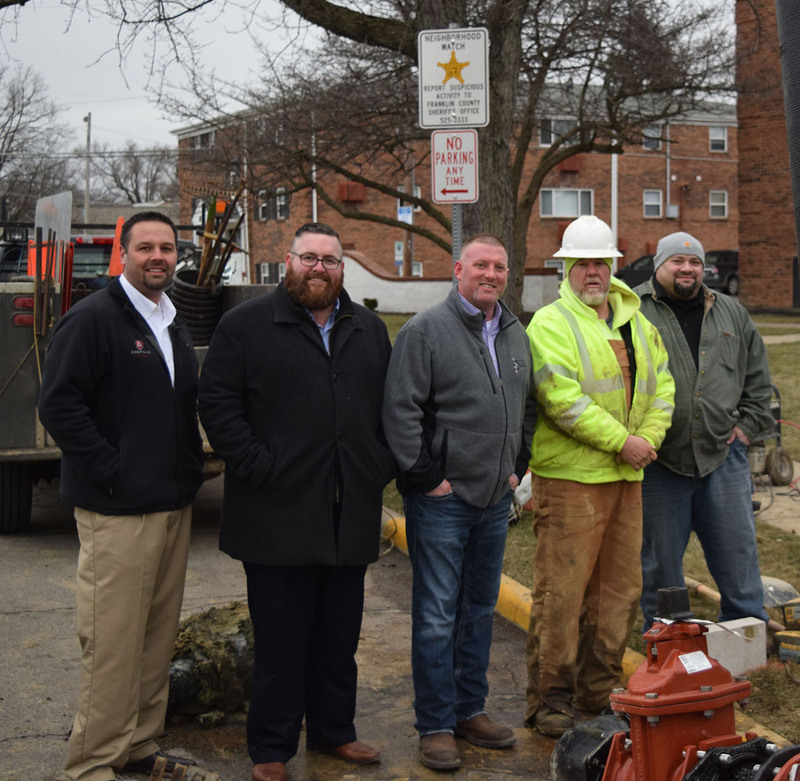 174 American-Darling MK 73 fire hydrants were installed as part of Franklin County, Ohio’s valve and hydrant replacement project.